Kaizer Chiefs restored South African pride in the African Champions League with a 4-0 win at Volcan Club of Comoros Island, a day after Mamelodi Sundowns suffered a shock first round first leg defeat to Chicken Inn in Zimbabwe. 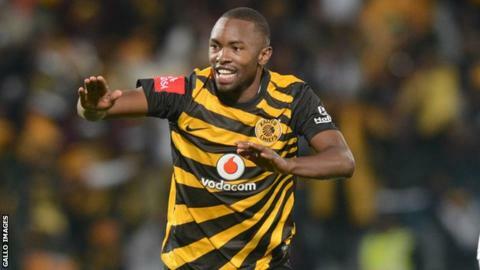 Bernard Parker opened the scoring for Kaizer Chiefs after 10 minutes. Sula Matov's strike and a brace from Erick Mathoho gave the Amakhosi a resounding win and a big advantage going into the return leg in Johannesburg in two weeks time. It was a far cry from Mamelodi Sundowns' result on Saturday, when they lost 1-0 away to Zimbabwe's Chicken Inn. Sundowns, along with Kaizer Chiefs, were hoping to lead another charge by South African clubs to rule the continent, after both clubs exited the competition in the first round last season. But a solitary goal from Mischeck Katsvairo in the first half gave Chicken Inn a surprise win in Bulawayo. The two will meet in the second leg in Pretoria when Sundowns will be under pressure, considering they are currently top of the South African Premier Soccer League (PSL) which is one of the richest leagues on the continent. The PLS has already reached the halfway mark, but the league in Zimbabwe has not yet started. Also on Saturday, Kenyan champions Gor Mahia suffered a shock 2-1 home defeat to Madagascan side CNaPS at the Nyayo National Stadium. Raharenjivo Rinjala put the visitors ahead early on, with Enock Agwanda levelling for the hosts from the penalty spot. Manompisa's winner late in the game was a big blow for Gor Mahia who now have it all to do in the away leg. Tanzania's Young Africans were the first of Saturday's winners, beating Cercle de Joachim 1-0 in Mauritius thanks to a goal from Zimbabwe midfielder Donald Ngoma on 16 minutes. On Friday, the upsets began in the very first game of this year's African Champions League as Uganda's Vipers won their first ever continental club match beating visiting Enyimba of Nigeria 1-0. Erisa Sekisambu, who was part of the team at the recent African Nations Championship in Rwanda, scored the only goal of the game for the Ugandan champions in the 72nd minute. The goal was set up by a deep pass from Keziron Kizito but it was Sekisambu's skill that ultimately beat the Enyimba defence. He was left with plenty to do as he picked up the ball cut into the area before dribbling past Akabueze John Uche feigning to pass and finally hitting the ball into the roof of the net. There was some groans around the Nakivubo Stadium in central Kampala as fans thought he has only hit the side netting but they soon turned to cheers as they realised what he had done. Vipers overcame the two-time African and current Nigerian champions without several key players including striker Farouk Miya, who has joined Belgian club Standard Liege. The second leg is on the last weekend of February in the Nigerian city of Aba. Also on Friday, Olympique Khourigba of Morocco beat Gambian League champions Gamtel 2-1 in Marrakech in their first leg. Gamtel went ahead through a thunderous strike from Modou Sarr. But the hosts came back with goals from Ibrahim Bazghoudi and Tiberkanine Rachid to take a slender lead to The Gambia for their second leg.